If I go into the Notation screen, then Editable notation and insert a note on the first beat of bar one it lasts for 1 bar and 3 beats (4/4 time), no problem so far. If I then add a note in bar 2 at beat 2, I get a rest at beat 1 of bar 2 - why ? Why does a rest appear in between the two notes, what am I missing ? Intel i7 3770K @ 3.50Ghz, 8GB Ram, Windows 10 64-bit, BIAB 2019 UltraPlusPak, Cubase 10 Pro, Yamaha Genos Arranger Keyboard, Roland Integra 7. I'm not at my computer, but there is a default length of a note that is, I think, 90%. So when you enter a new note at bar 2, beat 2, it knows that the first note has to end before the second note starts, and it leaves a space before the second note. You can change the default length. I just tried the above in both BIAB 32bit and BIAB 64-bit and the note tied correctly from beat 1 (bar 1) to beat 1 (bar 2) -- in other words, I did not get the rest you mention. Do you have the latest build installed? We are presently up to #617. It can be downloaded and manually installed from the following link. Also, are you entering the notes on the Melody track? Go to Help, Notation Window - Options More. It's 80% as the default. 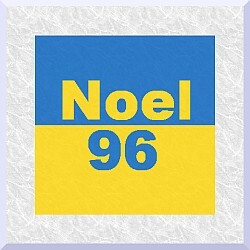 EDIT: However, I also got what Noel got - no rest in the Editable Notation Mode. If I switch back to the Regular Notation Mode, I see the rest at beat one in measure two. I think that's explained by what I mentioned before. And, of course, you can change the length of the note manually in a few ways so you don't see the rest. I think Matt found the answer with the note length defaulting to 80%. If I entered the notes as in my original post, then selected the Staff Roll Notation, the first note length (blue line) only fractionally went past the Bar 2 line. Changing the default note length to 90% has solved the problem and the rest no longer appears.